New perks, units, and ships are being added to Stellaris in the upcoming Apocalypse DLC. A new video was recently released detailing the next expansion to Stellaris called “Apocalypse.” Right now, Stellaris: Apocalypse is projected to release on February 22nd alongside the game’s 2.0 update, an update that will reportedly be free to all Stellaris players. From the details provided by Paradox Interactive, Stellaris: Apocalypse looks to add more military-style content to the game such as new rules, units, and an AI-controlled faction known as Marauders. To help you fight, or recruit, these Marauders, Stellaris: Apocalypse will include a variety of new weapons platforms such as the Colossus, a massive warship with incredible destructive capabilities. What’s more, each of the game’s different empires will boast its own unique Colossus design. Other new additions include Titans, Ion Cannons, and two new in-game perks. Other changes making their way into Stellaris via the game’s 2.0 update include adjustments in how players take command of star systems. Once the 2.0 update is live, players will need to create a starbase in order to exert influence. Additionally, starbases will now be able to be constructed as specialty installations like defensive bastions or shipyards. Pre-orders are currently available for Stellaris: Apocalypse, which is scheduled to release on February 22nd at a price point of $19.99 (USD). 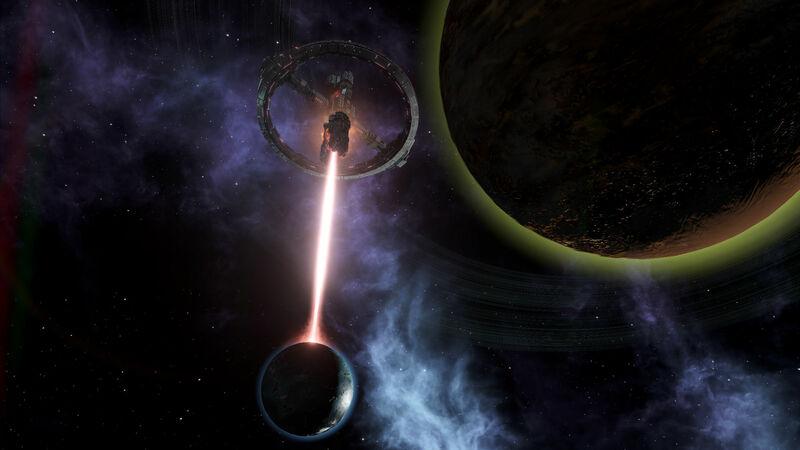 Meanwhile, the 2.0 update will launch soon and will be free to all current Stellaris players. What do you think of the new Stellaris: Apocalypse DLC? Will you be picking it up? Let us know your thoughts down in the comments below!